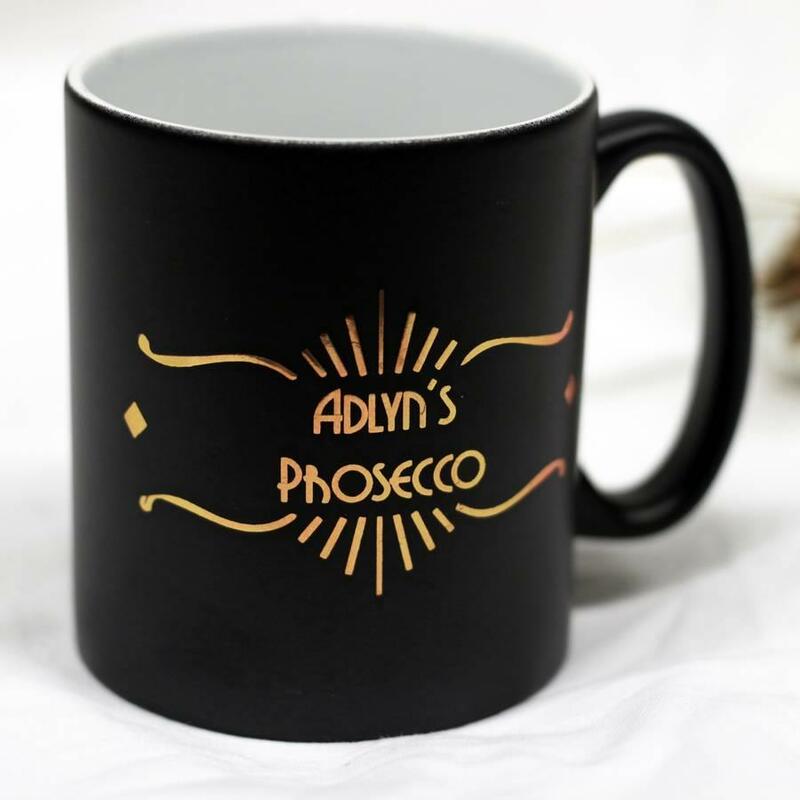 Metallic copper name print on a black satin mug in an art deco prosecco design. 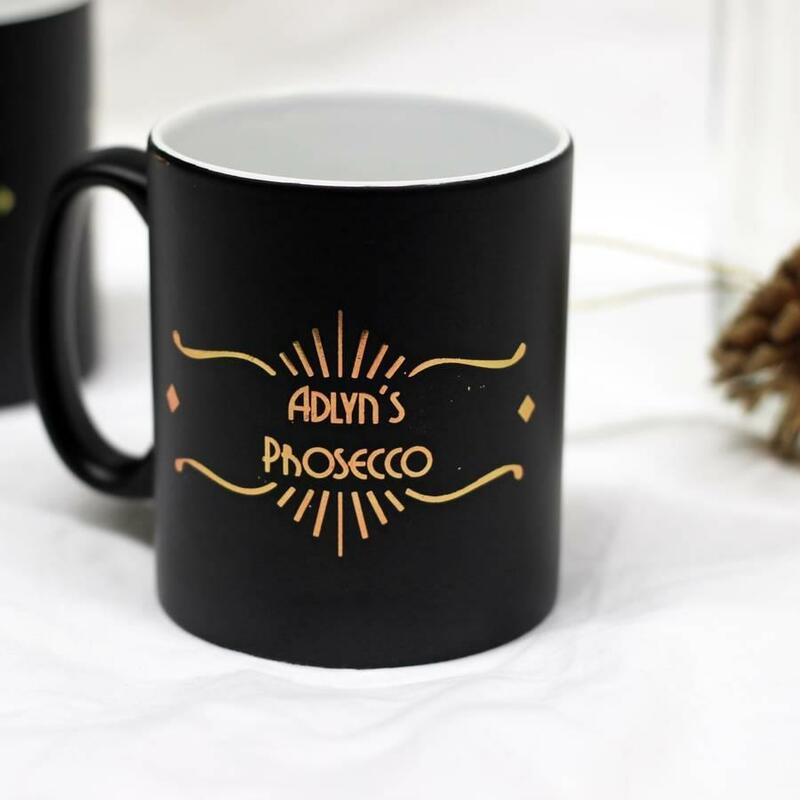 Our mugs are personalised to the recipients name with a metallic finish, creating a high end looking gift. 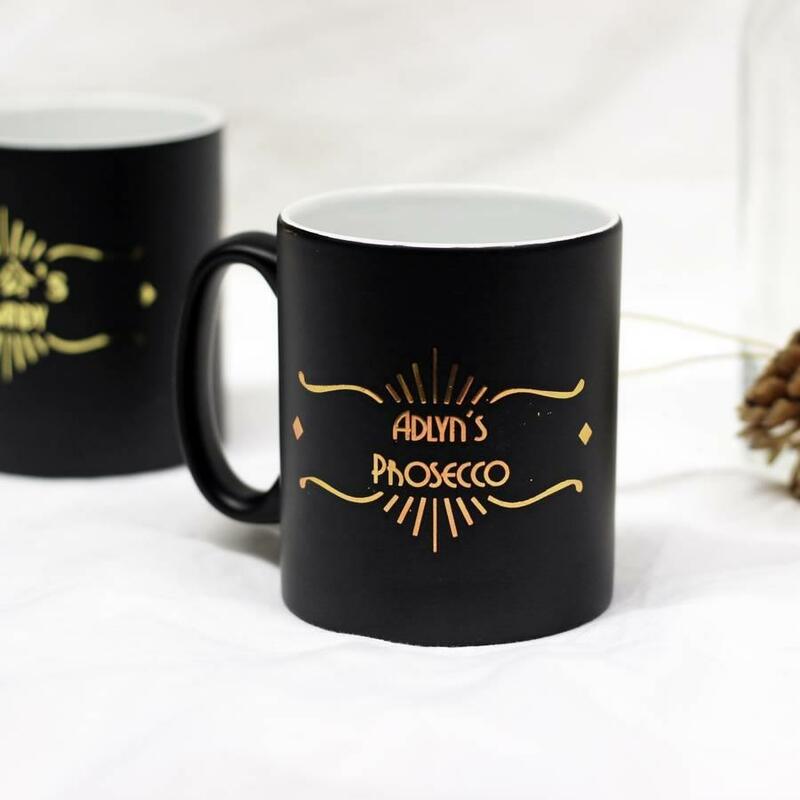 The finish of the black mug is smooth matte satin, creating a strong contrasting background for the metal to shine. 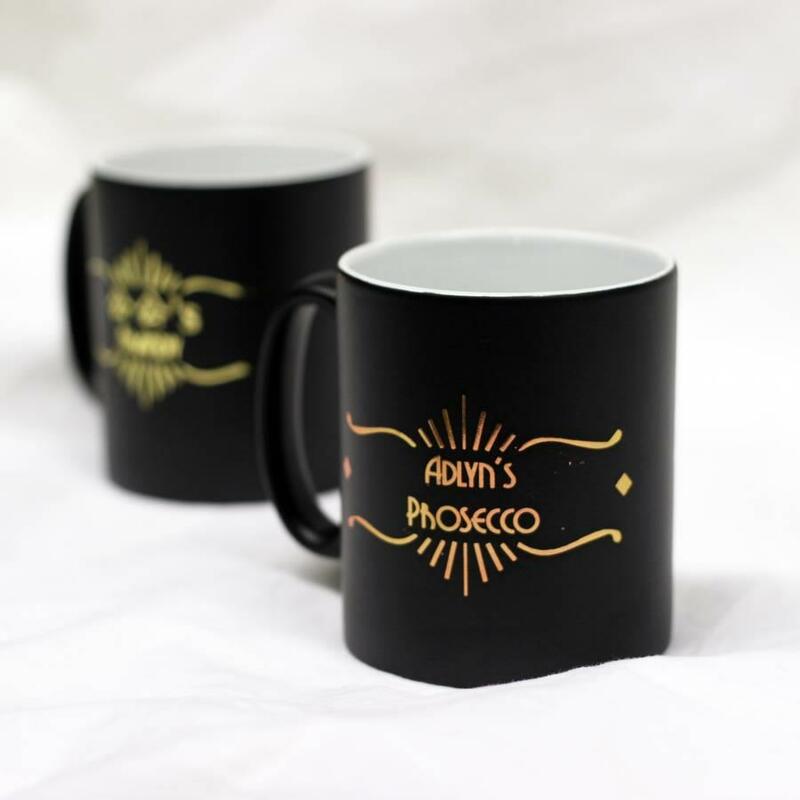 Each mug is bespoke printed by hand. 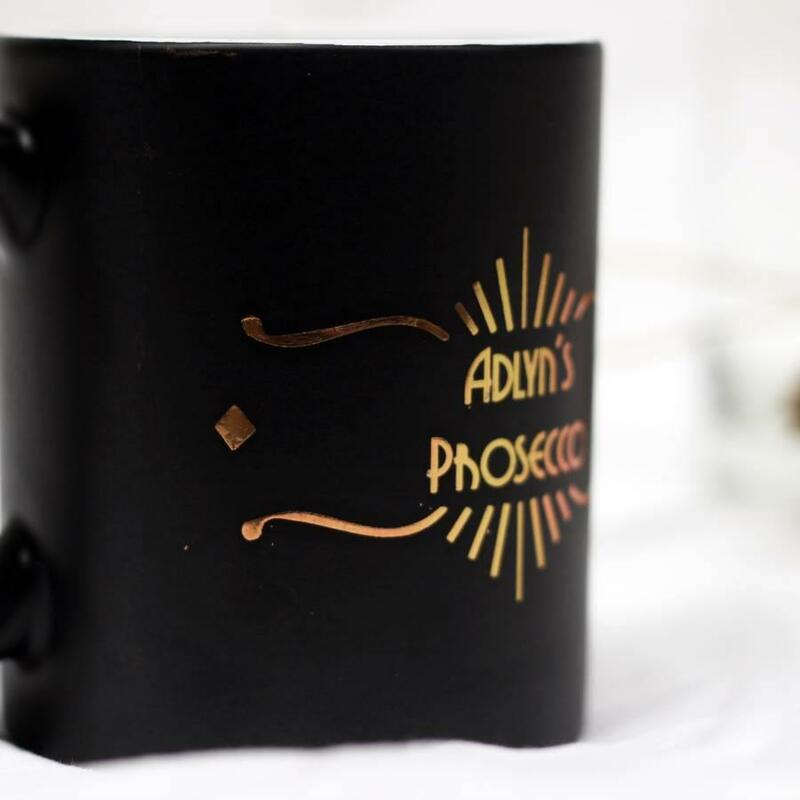 Each mug is sent in a kraft gift box.